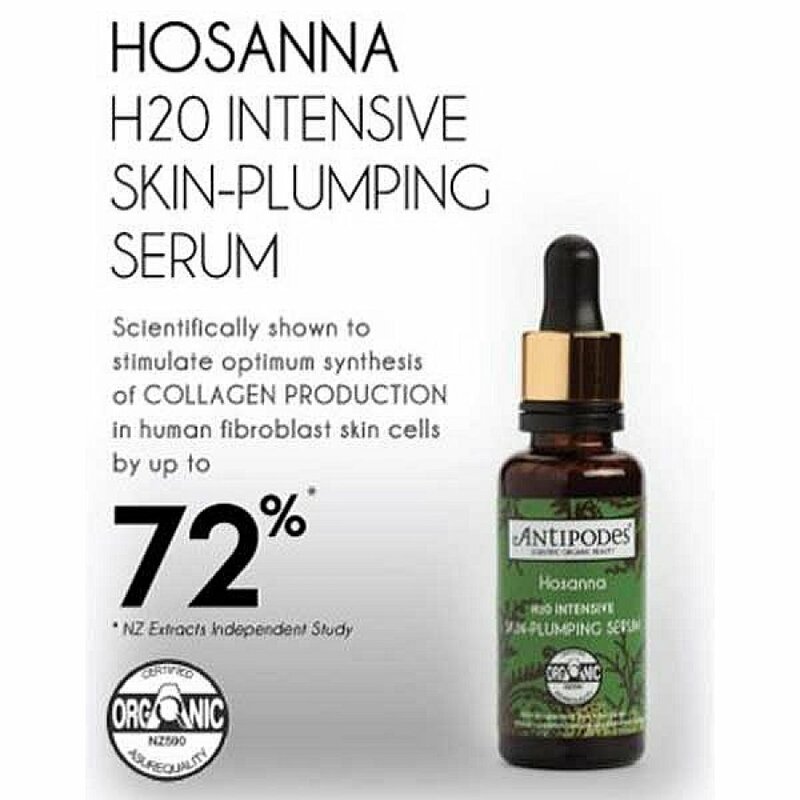 An oil-free and water-charged bioactive serum that instantly quenches thirsty skin and helps to intensively enhance skin appearance over time. Vinanza Grape, a powerful natural antioxidant keeps skin well hydrated and protected from free radical damage while Mamuka black fern helps foster healthy cell renewal. With pure plant fragrances of rose and cardamon. Apply to the face, neck and décolletage with the lid dropper and enjoy instant hydration and long-term results. Lavendula augustifolia (lavender) distilate*, Cyathea medullaris (mamaku black fern) leaf extract, vitis vinifera (Vinanza¨ grapeseed) extract, Naticide (natural preservative), caprylic/capric triglyceride, xantum gum, essential oil fragrances of French rose oil and cardamom: Benzyl benzoate+, Cinnamyl alcohol+, Citral+, Citronellol+, D-limonene+, Eugenol+, Farnesol+, Geraniol+, Linanool+. * Certified Organic Ingredient; +Component of essential oil. 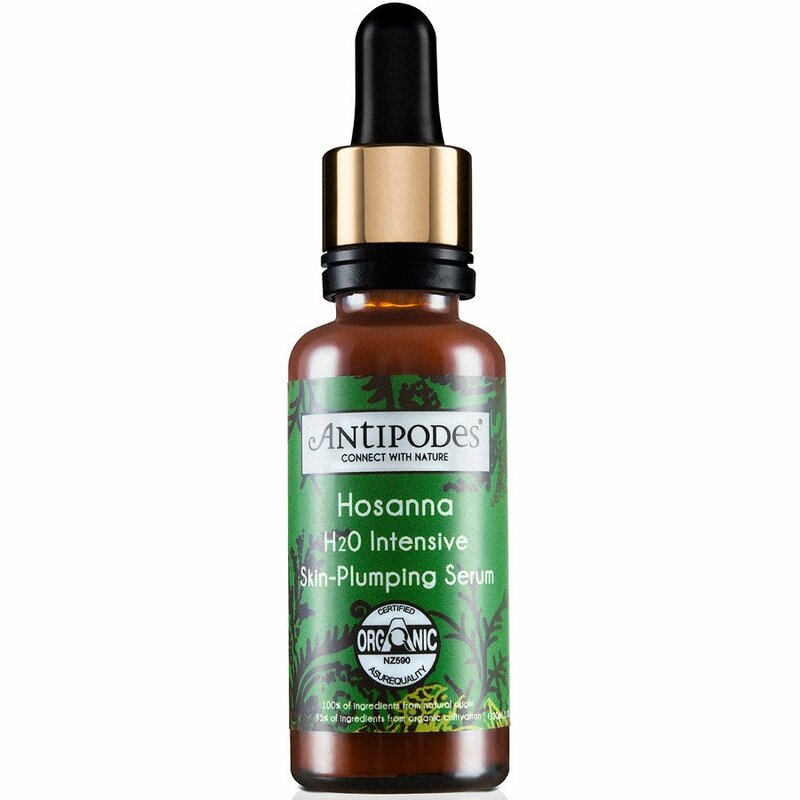 The Antipodes Hosanna Intense Serum - 30ml product ethics are indicated below. To learn more about these product ethics and to see related products, follow the links below. There are currently no questions to display about Antipodes Hosanna Intense Serum - 30ml.